Dear Windows users, you have always had to suffer from Mac users' statements regarding the superiority of their system stability, functionalities and graphic design. For the latter it wasn't really possible to counteract anything, until now. The day of revenge is arrived, or it's nearly here at least. With CubeDesktop you can have 6 independent desktops always available, which is useful, but the coolest thing is that to change from one to the other you have a very well designed full screen 3D cube to rotate. 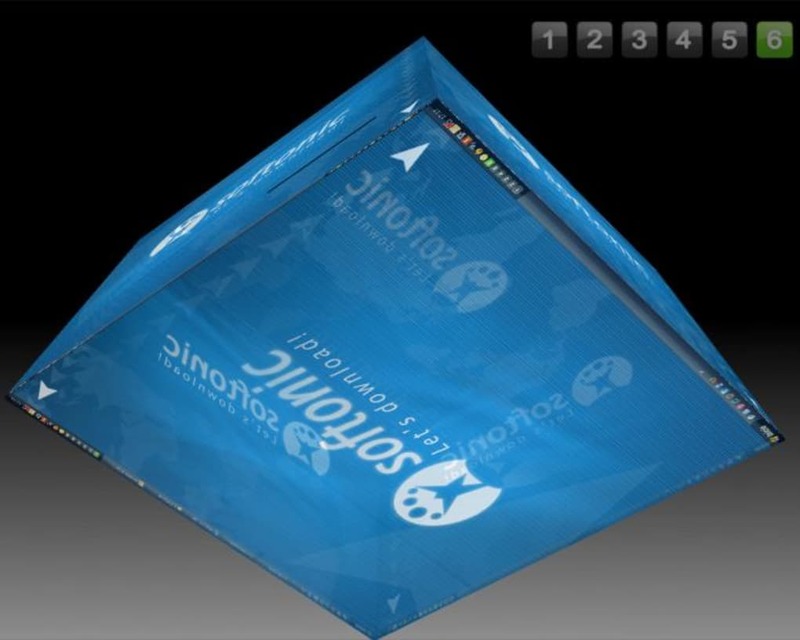 If you prefer, you can also choose a 3D flip or a 3D carousel menu. 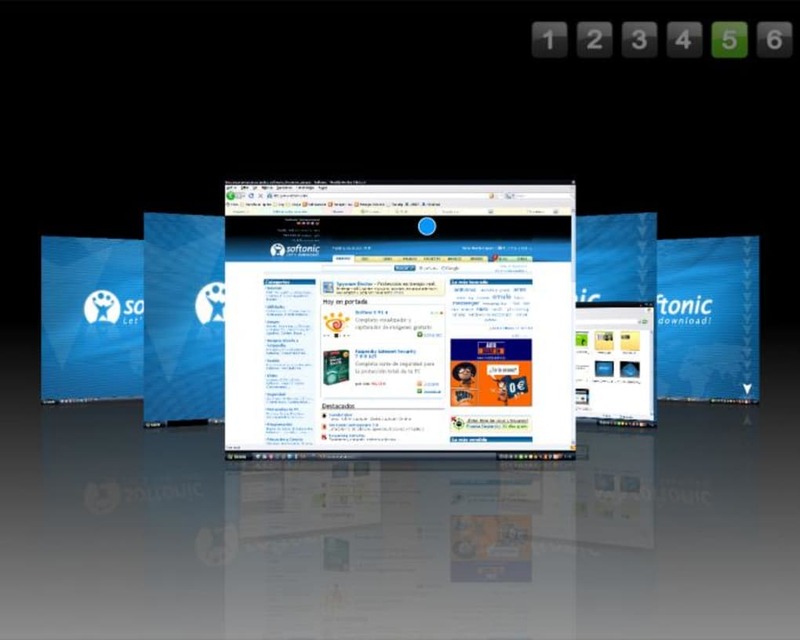 They all present the different desktop with the applications you may have opened and the background image you have. Linux users may argue that they already had this utility many years ago but first of all Linux is not normal-user friendly (ok, now Ubuntu has made things a bit easier) and it wasn't anyway so graphically pleasant and so fast to load. The downside of this application is that it uses nearly 50Mb of your RAM and it requires a powerful PC to run smoothly. 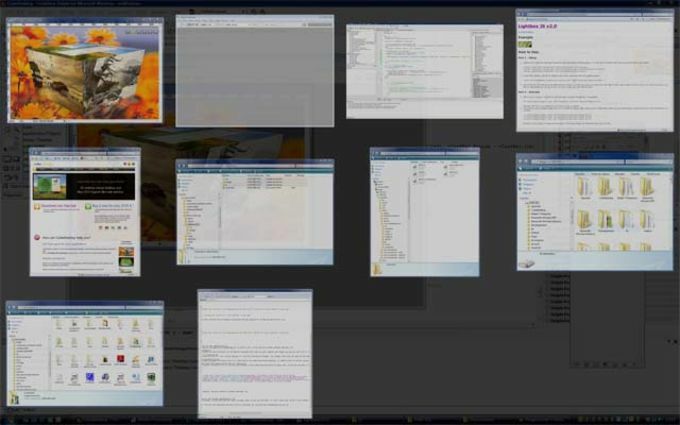 Someone may also ask himself why one would want to use 6 desktops. I have enough mess with one. I'm sure purists will say it's an unnecessary waste of resources, but if you like the possibility of having different desktops always available and you are a bit envious of Mac graphics, take your revenge now. CubeDesktop creates six virtual and independent desktops, increasing the space you have to work and play. Being the most robust multiple desktop software, CubeDesktop solves the desktop clutter problem once and for all. Each virtual desktop is a distinct working environment. The taskbar shows only the applications opened on the current desktop, greatly reducing the clutter. Use the 3D cube to preview, switch or move windows to another desktop. Or just for fun. Improve your Windows Vista experience. 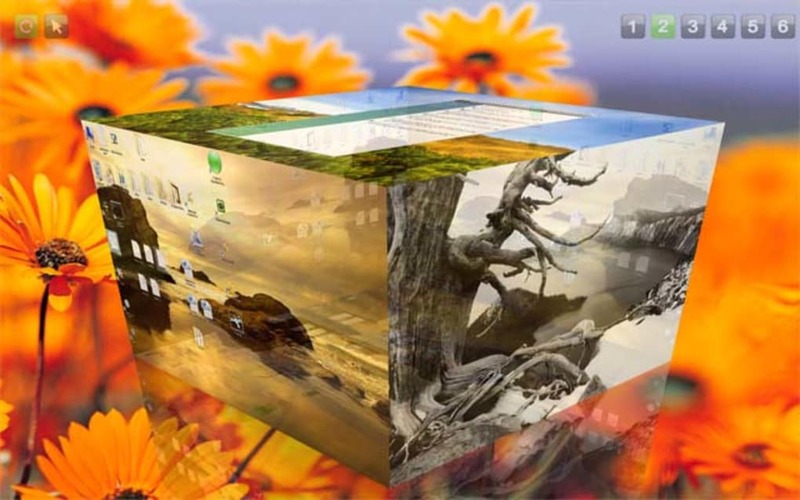 CubeDesktop is the best Vista addon so far, adding to your desktop incredible 2D and 3D effects. 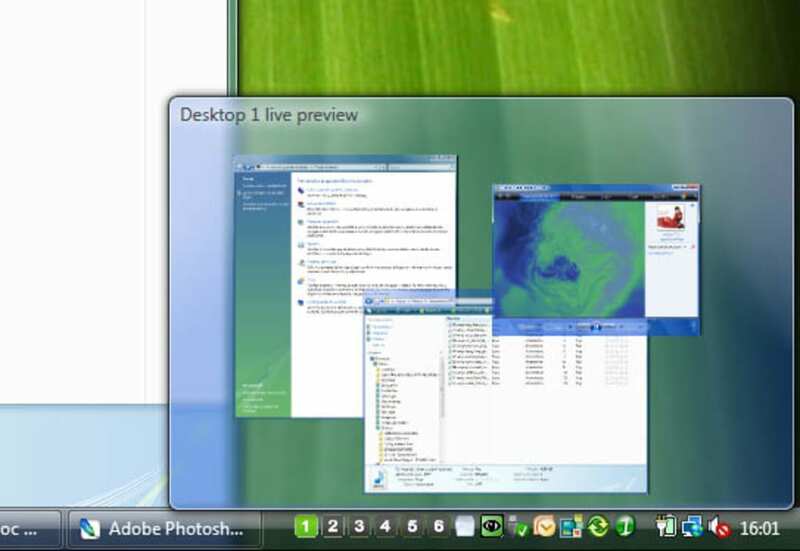 Windows and desktops update in realtime, like Windows Vista new thumbnails, but in true 3D. 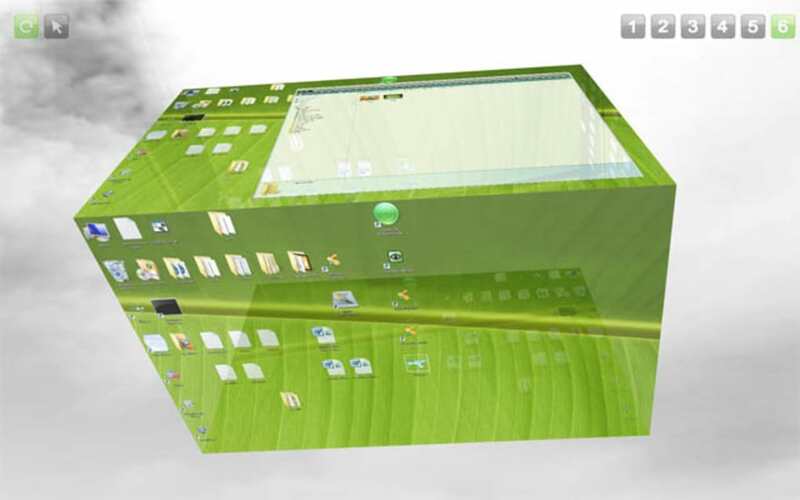 CubeDesktop offers various ways to move applications amongst desktops. Drag a window near the edge of the screen to show the 3D cube and drop it on the desktop of your choice. "SendTo" menu items integrated into all applications' system menus allow you to send applications to the desired desktop. You can also use hotkeys to move the selected window to another desktop. CubeDesktop is not like the classic utilities for Windows. Everything is live. When you switch between desktops using the 3D interface or the desktop explorer, you see a live preview of what's happening. All windows update in realtime, allowing you to see what you're really looking for. Great Software, Horrible Trial. When i downloaded this i was expecting to try it out for maybe like a week or two but instead it told me i had only 120 minutes of trial. Is that even worth this download? It still is a great software that i would recommend instead of DeskSpace because it allows you to customize more. Lets you have multiple desktops and show off switching between them. What do you think about CubeDesktop? Do you recommend it? Why?